A couple of weeks ago, I posted a video about harvesting capital gains. 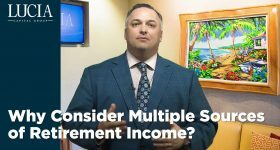 It’s a useful strategy that can potentially allow you to take advantage of some significant tax savings, possibly resulting in better returns for your overall portfolio. This is what’s known as “creating tax alpha.” As advisors, we see this process as a crucial element of our clients’ retirement plans. Well, a lot of people emailed me after seeing that video and asked if there are any other ways to make a portfolio more tax efficient. My answer – yes! Here are some things that you might consider doing. First, Roth Conversions… Back in 1998 when Roth IRAs first came into existence, anyone who had more than $100,000 of Adjusted Gross Income – single or married – was aced out of doing a Roth conversion. But in 2010, that rule was changed, and the income limits were lifted completely. 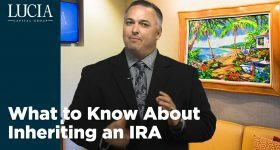 Now anyone, regardless of their income level, can convert their IRA money to a Roth. For people who have large IRA balances and are approaching Required Minimum Distribution age, converting some of that pre-tax balance into a Roth could result in substantial tax savings in the long run. Check with your advisor to find out more. You might also consider taking advantage of NUA – Net Unrealized Appreciation in your employer’s tax-deferred accounts. 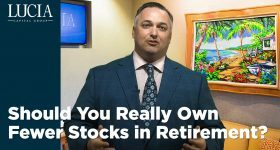 If you own highly-appreciated employer stock in your 401(k) or other employer-sponsored retirement plan, you may get a lot of benefit out of this strategy. Once you terminate employment and end your participation in the plan, you can distribute that employer stock in-kind and only pay taxes on the plan’s basis. The appreciation is taxed only when the stock is sold, and it is taxed at capital gains rates – not ordinary income. Currently, long-term capital gains rates are 15 percent for many taxpayers, and ZERO percent for some. The greater the appreciation of the stock, the more in taxes you could potentially save. Keep in mind that there are a lot of rules for NUA, so be sure to get help from your advisor with this strategy. One other way to make your portfolio more tax-efficient is to pay attention to asset location. Once you and your advisor have decided your best asset AL-location, your next step should focus on the LO-cation of those assets. In other words, should you own them personally, or inside of a tax-deferred vehicle? Where should the growth stocks go? What about the blue-chip stocks, or the bond portion, or the alternative investments? 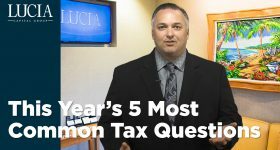 Knowing where to position these assets can potentially help you get the best tax advantages that they have to offer. These are just a few of the many ways you can add more “tax alpha” to your portfolio. It’s been said many times that taxes are the biggest drag on returns. So it stands to reason that by lowering or eliminating the taxes using the various means available to us, your portfolio may be all the better for it. These are the things we think about every day as advisors and planners. Just give us a call to find out if your portfolio is as tax efficient as it could be. We’re here to help. Raymond J. Lucia Jr. is Chairman and CEO of Lucia Capital Group, a registered investment advisor, and of its subsidiary broker-dealer, Lucia Securities, LLC, member FINRA/SIPC. Advisory services offered through Lucia Capital Group, a registered investment advisor. Securities offered through Lucia Securities, LLC. Registration with the SEC does not imply a certain level of skill or training.